At this year’s AWP Conference & Bookfair in Seattle (2014), I had the pleasure of attending the panel: Fabulist Fiction for a Hot Planet! with Matt Bell, Alexander Lumans, Tessa Mellas, Christian Moody, and E. Lily Yu. Below, you’ll find Matt Bell’s answers to some follow-up questions, the handout of eco-fabulist texts given to attendees at the panel, as well as a few of my personal eco-fabulist selections. 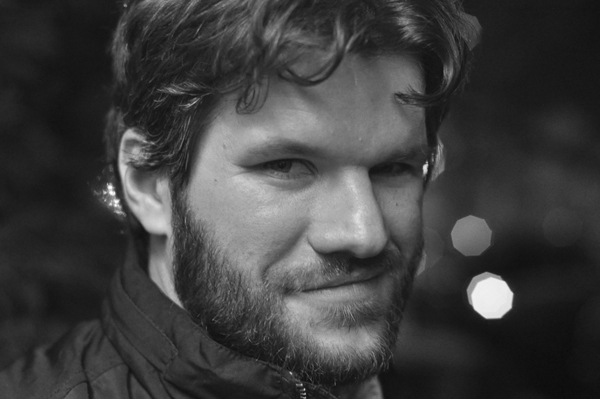 Matt Bell is current the judge for our Short-Fiction Contest, open for submissions until June 1st. How would you differentiate eco-fabulist fiction from fabulist fiction that pays careful attention to nature or setting? Does the answer have to do with the author’s intent? I think all of these tags and designations are useful in different ways, but I also think they’re very fluid. My guess is that most of the writers we talked about in our panel wouldn’t use the term eco-fabulism to describe what they’ve written—it’s been applied to my novel, for instance, but it isn’t necessarily how I think of the book—but I don’t think that makes it any less valid. There’s certainly a part of it that’s intent-based, but I don’t think intent is necessary. There’s an existing school of eco-criticism in literature already, although I’ll be honest and say I’m not terribly familiar with it. (Although I’m certainly interested.) The AWP panel you attended was my point of entry into the explicit idea of eco-fabulism too—if I remember Tessa Mellas’ pitch right, part of the panel’s purpose was to start to define the term—and I think we interpreted the idea fairly broadly: it was less about nailing down definitions and more about trying to highlight work that is engaging ecological and environmental issues. That was part of my attraction to the topic, when asked to fill in on the panel—I wasn’t part of the original proposal: Amid all the noise and networking at AWP, it felt great to gather in the room with a bunch of people interested in literature that goes after the big issues of our time. And there’s nothing bigger than climate change and its related environmental issues. I’m very interested in stories from animal perspectives—like George Saunder’s “Fox 8” and Kate Wyer’s “Land Beast.” Does a first-person animal perspective automatically qualify a story or novel as eco-fabulism? It does seem like any story narrated by an animal is automatically fabulist in some way—although I’m sure some writers would make a case that there’s a “realist dog story” too. Honestly, I’ve always felt like the animal narrator was a hard sell, but the Saunders and the Wyer stories are so successful that they make a compelling case for what can be done from the perspective. It’s always interesting what strikes us as “unbelievable”: I struggle with the animal protagonist in part because I’m always aware that the animal in question probably wouldn’t think using language. But both Saunders and Wyers control language so well that they somehow short-circuit my skepticism: They’re obviously not depicting the consciousness of a fox or a rhino directly, but so what? Most fiction narrated by humans isn’t trying to directly depict human consciousness either, or at least it doesn’t seem like it, based on the results. Do you have any theories on why fabulist fiction has been gaining popularity in recent years? I don’t think fabulist fiction has ever gone away: Almost all of our pop culture literature is fabulist or at least non-realist, from Lord of the Rings to Harry Potter to Twilight and The Hunger Games. This weekend, millions of people are packing theatres to see the new Godzilla movie, the type specimen of another kind of eco-fabulism, perhaps, the monster as consequence of nuclear disaster. We’ve always needed non-realist stories to deal with the real world: among other things, these stories make the familiar strange again, allowing us to more easily see the world we live in. All that’s happened in America over the past decades is that we stopped giving our biggest awards and critical attention to these works. Mostly, we reward realist works with the most acclaim, probably to our detriment. Which isn’t to say that realist novels or stories are in any way unworthy of attention. It’s just that they shouldn’t be the only thing we pay attention to. To ignore the non-realist and fabulist ways of telling stories is to give up other ways of investigating the problems of the world we share. To your eye and ear, do fairy tales (classic or contemporary) fall in the category of eco-fabulism? For the most part, nature in the fairy tales I’m most familiar with—Grimm, for instance—is pretty abstract, which makes it somewhat more difficult to think about this way. But I think contemporary writers who work with the fairy tale sometimes approach its various elements not as static qualities but as spectrums: In traditional fairy tales, characters are necessarily flat, but in a contemporary tale, you might modulate that flatness. In the same way, it seems to me that the abstractness of nature can be modulated to interesting effect: What if you kept the other elements of the fairy tale the same—flat characters, for instance—but set them in a more complex, nuanced, concrete nature? Interesting things would begin to happen, and you might get somewhere new. Any reading recommendations for people new to the category? I don’t know if it’s exactly a fabulist novel—unless your query about animal protagonists always making for a fabulist novel bears out—but one of the most interesting books I’ve read in the last year is Colin McAdam’s A Beautiful Truth, which offers a braided narrative about chimpanzees: In one thread, a childless couple adopts a baby chimp, raising him as their own son; in the other, a group of chimps live inside a research complex enclosure, interacting with each other almost as if they were in the wild. (Full disclosure: McAdam and I are both published by Soho Press.) What’s brilliant about the book is that McAdam invents a diction and a syntax for depicting the thoughts and language of the chimps inside the enclosure, bringing the reader far closer to the chimps than a more traditional treatment might allow. The overall effect of the book is to blur the lines between humans and chimps, one of our closest genetic cousins, and I think it’d be hard to come out of the book without feeling that any mistreatment chimps suffer at our hands is an ongoing humanitarian crisis. Few novels have moved me so much, or made me want to immediately take action in the world. I don’t think the book got the attention it deserved, but I’m hoping it’ll keep finding more and more readers. It’s exactly the kind of book we need more of. 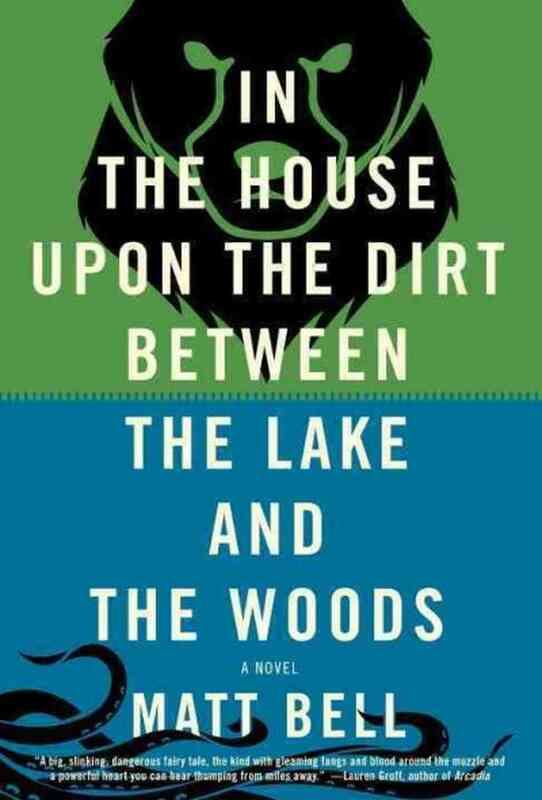 Matt Bell‘s debut novel In the House upon the Dirt between the Lake and the Woods was longlisted for the Flaherty-Dunnan First Novel Prize and selected by the Library of Michigan as a 2014 Michigan Notable Book. He is also the author of two previous books, How They Were Found and Cataclysm Baby, and teaches creative writing.